When it comes to DIY face masks, coconut oil face masks are king. Giving yourself a coconut oil facial is one of the most beneficial things you can do for your face because of all of the wonderful benefits of coconut oil that will be discussed below. Coconut oil is touted as a miracle oil for probably 101 ways and counting that it benefits your health and beauty. 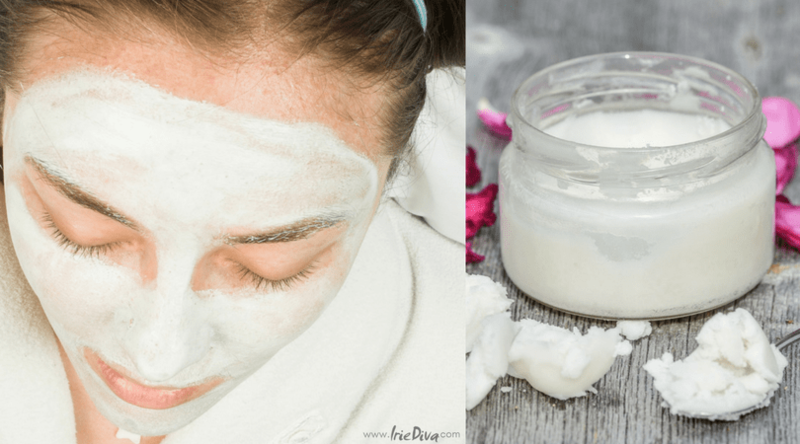 It’s no surprise that listed among popular coconut oil uses, you’ll find several types of coconut oil face masks but do they really work? I love to test out natural beauty recipes because I believe that chemicals and science are great but must cause some kind of harsh reaction. If I can find a way to achieve my desired results using nature, I’m all for it. When I first went natural, I found out quickly that coconut oil was too harsh for my skin and caused very bad breakouts. I had to switch to aloe vera hair masks and using avocado oil for my hair oil concoctions. However, I still wanted a way to use coconut oil in my beauty regimen because so many people can’t be wrong, it must be good for something. Enter, face masks. Face masks work wonders for my oily skin. The fact that they stay on my face for only a few minutes then I steam it off with a clean towel helps me to get the benefits of the oil without the coconut oil breakout after. Below are some of my favorite face mask recipes and other ways to use extra virgin coconut oil in my beauty routine. I’ve tried a bunch of different recipes found online and found the ones below to be the most bang for buck. Outside of face masks, I’ve found a few other ways to include coconut oil in my beauty lineup so I will outline those below as well as how I cleanse after so that you’re not left with coconut oil residue that causes breakouts. Face masks with coconut oil is a great option for your skin and beauty concoctions because of its anti-bacterial properties that clean out anything in your pores that causes bacteria. The fatty acids in the oil also nourish and hydrate your skin which will help to keep it soft and plump as you age. Some essential oils can also be added to your coconut oil and honey mask, such as rose or lavender essential oils. Just a couple drops are all you need. You just need to combine the ingredients and store it in the refrigerator. Clean your face, apply the mask, and massage it into your skin. Let it sit about 10 minutes, then rinse it off with warm water. Here’s an edible natural face mask for you. You don’t actually eat this face mask, but you definitely can have some of it ingested since it is all made of food-grade products. That is what makes it so fun to have around! This face mask uses coconut oil, along with some plain yogurt and the juice from a lime or lemon. The lemon juice will help to refresh and exfoliate dead skin cells while the yogurt is hydrating and helps to smooth fine lines. One thing to note is that since it has lemon juice, be careful about cuts or sensitive areas on your face as the acid in the lemon may sting. All you need to do is combine your yogurt, melted coconut oil, and lemon juice in a bowl, then apply it your face. Leave it on for 15-20 minutes before you rinse it off. This is a recipe that also uses honey and coconut oil, but also adds in some hydrating and healthy green tea as well. Green tea is not just great for drinking regularly, but for adding directly to your skin. I have a DIY green tea toner recipe here that I use daily to help keep my skin clear of acne marks and other hyperpigmentation. For this type of homemade face mask, you want to start with virgin or extra virgin organic coconut oil, mixed with some raw and organic honey and green tea leaves. Choose the loose, organic tea leaves and not the tea bags you find in the regular supermarket. Combine the ingredients, and follow the same instructions as any other face mask. Apply the mask to your face, let it sit for several minutes, then rinse with cool or lukewarm water. Make sure you are not rinsing your face with hot water as it can dry it out. This one is from my post on how I cleared my face of hyperpigmentation when it broke out so badly after I found out coconut oil left in my hair is no good for my face. Or my hair actually, really. Turmeric is actually touted as an ingredient that can lighten the skin and clear unwanted facial hair. I have never really seen those benefits, probably because I do not use it often enough to cause such dramatic results. However, this coconut oil mask did wonders to help even out my skin tone after the acne breakout. The oatmeal was nourishing and helps to soothe inflamed skin so this mask is great if you suffer from breakouts regular. To make this coconut oil face mask for acne, blend the oatmeal in a blender first to make it into a powder then mix it with turmeric and coconut oil to make a paste. Leave on your face for 15 minutes then rinse with warm water. Here’s another way to use coconut oil for clear skin. If you suffer from acne prone skin this is another one that is good to use often. I use this face mask the week before my menstrual cycle religiously since I tend to get hormonal breakouts. The baking soda will cleanse your skin and pores out of anything that’s lurking there waiting to erupt during that week. Mix the two ingredients to form a paste then massage into your face and neck area for 5 minutes. Rinse with warm water. Avocado is a staple in my diet and my beauty regimen and in fact a staple with aloe vera in my DIY deep conditioner recipe. You could probably add aloe vera to this recipe as well for amazing results because it is a holy grail for adding moisture to my hair. Avocado is said to slow down the aging process which is an amazing addition to your coconut oil face mask benefits. Mash a slice of avocado with a spoonful of coconut oil and a spoonful of aloe vera gel if using, and apply to face. Leave this coconut face mask on for 20 minutes then rinse with warm water. Egg whites are touted to tighten the skin. My mother has been using it on her face since I was a child and is one of her favorite homemade facial mask recipes. I’ve upgraded the recipe by adding coconut oil for its antimicrobial benefits and milk to nourish my skin. 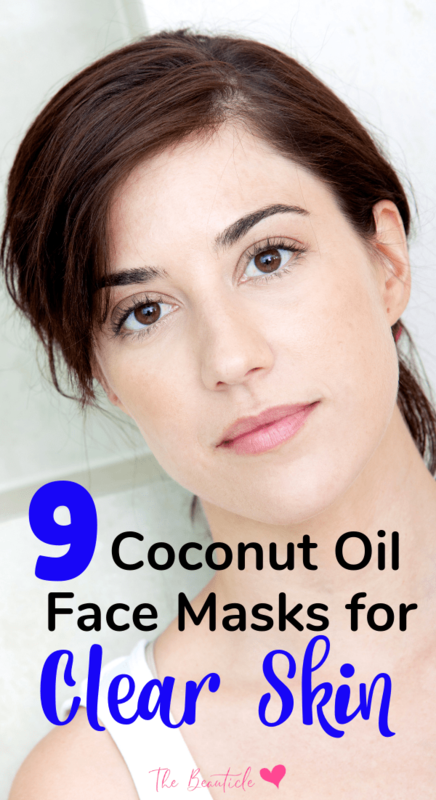 This is one of the top face masks recommended for using coconut oil for wrinkles. Do not use the whole egg, make sure to separate it. Then use a tiny bit of coconut oil with a little milk to make a mask. Apply to face and allow to dry and get tight. Rinse with warm water. Papaya has enzymes that are used in face peels. This is a gentler way of getting the same benefit. This mask will gently exfoliate your face and keep it wrinkle free, soft and smooth. Mash a small piece of ripe papaya with a spoonful of coconut oil and apply to face and neck. Leave on for 20 minutes before rinsing with warm water. Papaya is a great fruit to include in your diet as well as it will benefit your skin from the inside out. Try my beet, banana, papaya recipe here to help you get your daily dose of vitamins and minerals from fruit and veggies. This isn’t a mask but a bonus coconut oil face scrub if you’re wanting some exfoliation to slough of rough skin and reveal a fresh smooth surface. Mix coconut oil with brown sugar and a few drops of tea tree oil. Gently massage this into your skin for 5 minutes before rinsing. Be sure to cleanse using my method below then use a moisturizer after an exfoliating session. As I said, coconut oil makes me break out. It may not make you break out, everyone’s skin is different. However, you can follow up with my steam method below after any one of these coconut oil beauty recipes to get even more benefits and refresh your skin after a mask treatment. Have a clean white washcloth handy when you’re preparing your mask. Soak it in the hottest water you can manage then place the rag directly on your face. This will help to open your pores and steam out everything that may have been left behind. Allow the washcloth to sit on your face till it’s cooled down. Then, use the washcloth to wipe off any excess oil and ingredients that may be left behind. The hot water may tend to dry out your face however it shouldn’t since you just used an oil mask and some remnants will penetrate your skin and be left behind. If not, you can use a healthier oil to moisturise like jojoba or argan oil. These are my favourite oils to use as a face moisturiser since jojoba oil is as close to our face’s own sebum that it produces. Good quality argan oil is high in Vitamin E and fatty acids which are excellent for hydrating your skin and boosting collagen production. One spray is all you need to massage into your face and neck for lasting hydration. 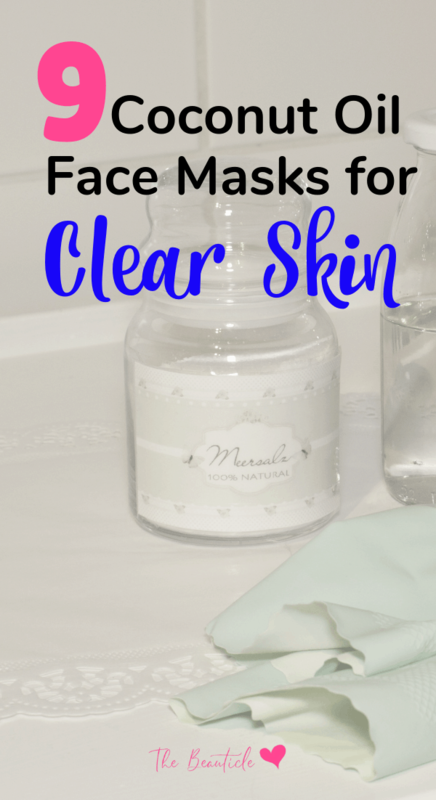 I hope you’ll love these face masks as much as I do! Leave comments or questions below and do share this post with your friends.